Barbara Ann Cochran gave her first ski lesson when she was 10 years old, on the hill behind her family’s home in Richmond, Vt.
Fifty-eight years and countless lessons later, her enthusiasm hasn’t waned one bit. 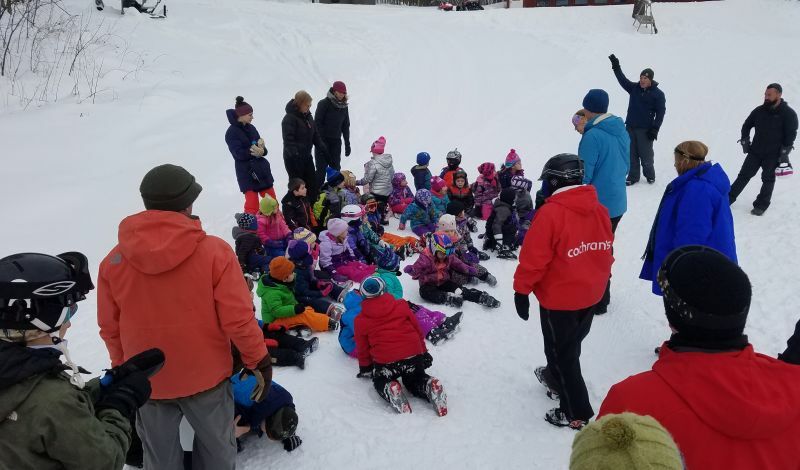 “I love it,” Cochran said Wednesday, while giving lessons to school children as part of the Chittenden East School District’s Snow Motion Program at Cochran’s Ski Area. “Seeing the progress that kids make - and adults, too - is amazing. The Snow Motion Program began in the 2013-14 season at Cochran’s, the nation’s first 501 (c) (3) tax exempt, non-profit ski area. 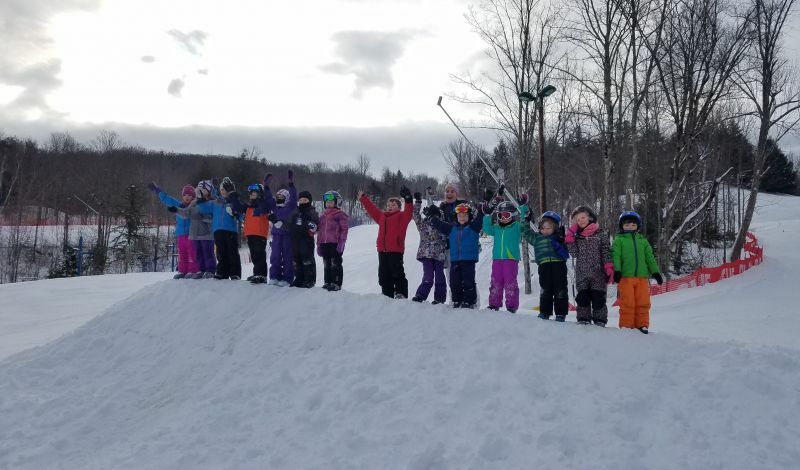 The official philosophy behind the community learning hill - that “no child will be denied the opportunity to ski or ride” - is especially resonant during January, which is National Learn to Ski and Snowboard Month. Wednesday’s lessons began with a group of kindergarten students, many of whom had never been on skis before. 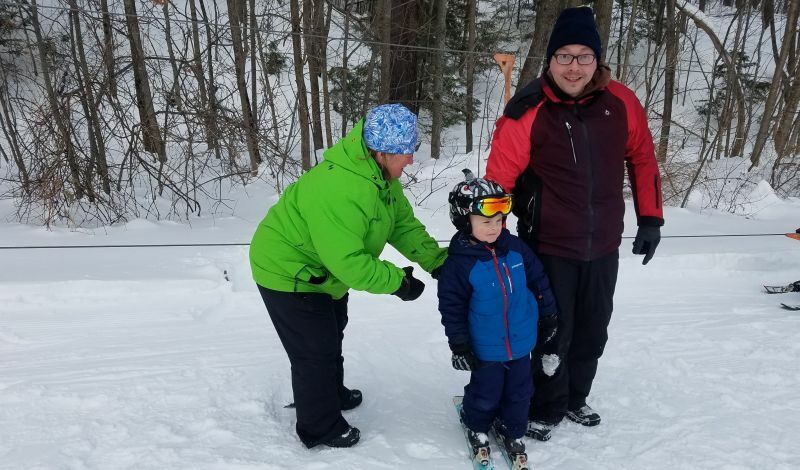 Instructors from Cochran’s partnered with physical education teachers from the school district and parent volunteers to help the children progress from shuffling around on skis to riding the “Mighty Might,” the handle tow alongside one of the slopes at Cochran’s. Instructors from Vermont Adaptive were also on hand to assist children with special needs. The students were largely unaware that the friendly woman in the green jacket helping them unload from the tow is a household name in competitive skiing. Barbara Ann Cochran won the gold medal in slalom at the 1972 Winter Olympics in Sapporo, Japan, and was a two-time U.S. national champion. 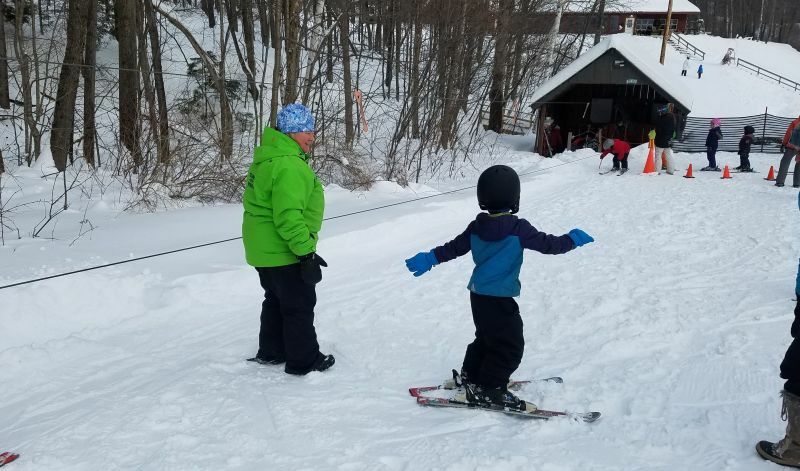 That remarkable level of experience for an instructor teaching first-timers on a community ski hill was certainly appreciated by the parents in attendance. 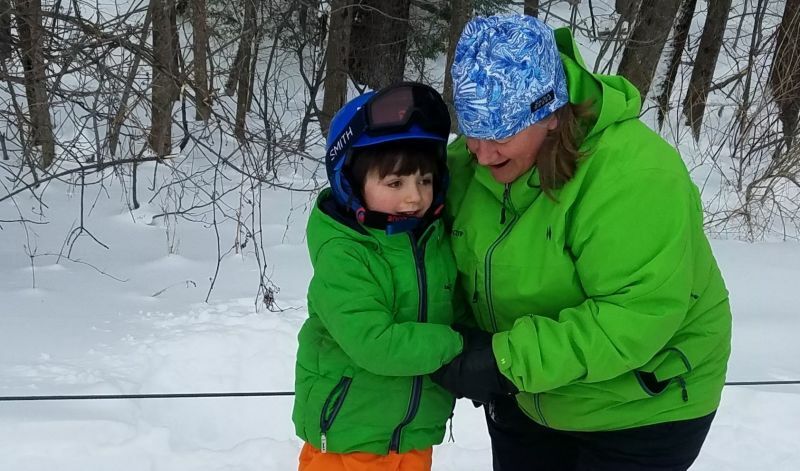 “It’s such a treasure to have a Vermont skiing legend so dedicated to teaching the newest generation,” said Chris Bondi of Jericho - whose son, Sal, took part in Wednesday’s lesson. For more on National Learn to Ski and Snowboard Month, visit LearnToSkiAndSnowboard.org.